It is time for you to have complete trust on our Needham landscaping services. When contacted in time we are ready to help you with all landscaping necessities. We are ready to help with complete landscaping. We deliver the best garden and lawn services to the residential and the commercial clients. We have the talented team of the landscaping staffs who work hard to boost the curb appeal of the property. We even try and add value to the worth of the residence. We make you understand the value of landscaping services in turning the condition of the home. We do things in order to help you live better every passing day. 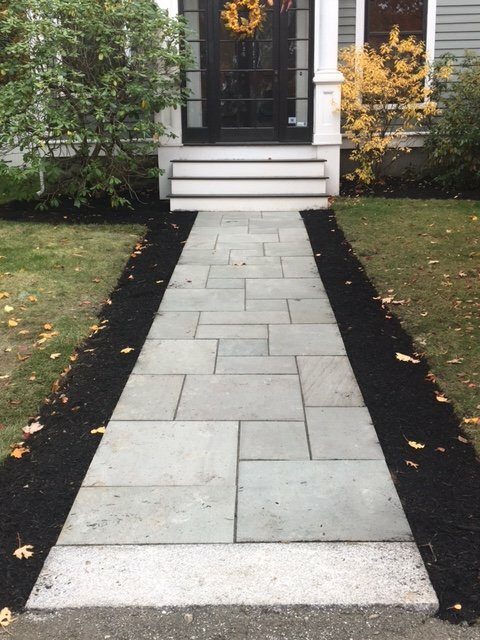 We hold the array of the landscaping services Needham. We work in a manner to meet with your tastes and expectations. In the way, we try to compliment the lifestyle you have. Here is a list of things we do. We take the initiative in carefully planning the landscape you have. We discuss things with you and decide in matters of lighting, seasonal color, installation of a water fountain, irrigation system and the rest. We hire the expert professional to deal rightly with the property architecture. We work hard for large-scale installations and in matters of simple garden maintenance. At Concord Tree & Landscaping, we offer with the apt landscaping services combining the concepts of architecture and planning. The landscape is designed in the way to help people spend a nice time as part of the property zone. The right design of the landscape will help in the apt reduction of seasonal energy costs. We design things in the way to rightly defend the home or the place of stay. We, at Concord Tree & Landscaping, make the right combination of tools and manpower to defend the land from the harsh winter elements and the disappointing summer humidity. This in the process of long run will help in restricting the level of noise and pollution. With the help of the Needham landscaping services, we try to create the balance in the garden area or the yard. The landscaper here has the perfect ability to feature the apt harmony in case of the vegetation, the terrain, and the water area. Once your adjacent landscape needs renovation you can appoint for the Concord range of services by giving us a direct call at Concord Tree & Landscaping.